Common Cause Wisconsin: If not us, who? If not now, when? I hope that the answers to the questions asked in the following blog are US and NOW. If you think they should be, would you be willing to put your name on the virtual letterhead of a virtual organization that is going to ask the legislature and governor to bring something other than partisan warfare to this year’s redistricting? If you are willing to lend your name, please send a message to jheck@commoncause.org or call 608-256-2686. Anyone who has seen the process up close wants nothing more to do with drawing the lines for legislative districts. All turf battles bring out the worst in our political system, and redistricting is a virtual golf course. And that’s only half of it. When the opportunity to get a 10 year advantage rears its ugly head, really bad things happen. This could be that kind of a year. And it’s not like the results achieved in prior decades by legislative fiat often adjusted by judicial revisions have been God’s gift to democracy. The maps they have drawn if left alone or have submitted to the courts if not are not egregiously gerrymandered, but the result of these designs have created a democracy where some 82% of the voters who show up for the final vote in November did not have a real choice. The results of the elections they participated in were pretty much predetermined by the people who decided on the basis of how the people in the districts in their maps could be expected to vote. In short most of us do not choose our representatives. Our representatives choose us. We are not at the table when the maps are drawn. We do not necessarily share the priorities of the people who are at the table. Most of us might, for example, like to have more rather than fewer contests that were more competitive. This could be done. This is being done in other places. Right next door, for example, in Iowa a disinterested state agency that doesn’t want to limit the number of competitive elections makes the map the legislature ultimately approves. Arnold Schwarzenegger’s farewell gift to the voters of California was a mapping system similar to Iowa’s. A couple other states follow that path as well. And, astonishingly, in North Carolina the Republicans in the legislature are also trying to turn over this fractious responsibility to non-partisans. We could do that. It isn’t rocket science. We could turn the mapmaking over to some agency as dispassionate and fair minded as, say, the Government Accountability Board where the responsibility for overseeing our elections already resides. Why would the legislature and the governor do this for us? It would get a very distracting issue off the table in a contentious, issue filled year. It would save money. The legislative leaders wouldn’t have to hire expensive, otherwise worthy law firms to help them do the mapping. 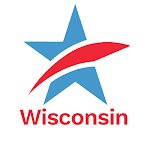 And it would be the right thing to do in a year when finding a proposal that a very large bi-partisan majority of citizens might regard as praiseworthy is as rare as a robin in a Wisconsin spring. I can guarantee that the the 82% of us who are geographically disenfranchised would cheer. Anyone willing to wait tell 2021 to do this? If not us, who? If not now, when?Tweet this!